Enugu State Governor Ifeanyi Ugwuanyi, in keeping with his administration’s commitment to facilitate the speedy upgrade of the Akanu Ibiam International Airport for safety and security of lives and property on Tuesday, inaugurated an action committee. Inaugurating the committee, Governor Ugwuanyi, who was represented by his deputy, Mrs. Cecilia Ezeilo, stated that the committee’s terms of reference were to deal with all issues relating to the encroachment of land around the Runway of the Airport; take all the necessary steps to ensure full safety operation in the Airport, and ensure the smooth relocation of all masts to a new site, which she noted has commenced for safety. Members of the newly inaugurated committee comprised, the Commissioner for Enugu State Capital Territory Development Authority (ECTDA), Barr. Chidi Aroh, who serves as Chairman; the Commissioners for Lands and Urban Development, and Commerce and Industry; representative of ENPOWER Free Trade Zone; Assistant General Manager, Nigeria Export Processing Zones Authority (NEPZA); the General Manager, Land, Water Survey, Federal Airport Authority of Nigeria (FAAN). In her address, the state’s deputy governor reiterated the premium Governor Ugwuanyi’s administration places on safety of life, security and socio-economic growth of the state and the country at large, stressing that the governor has always taken measures to alleviate the suffering of the masses. 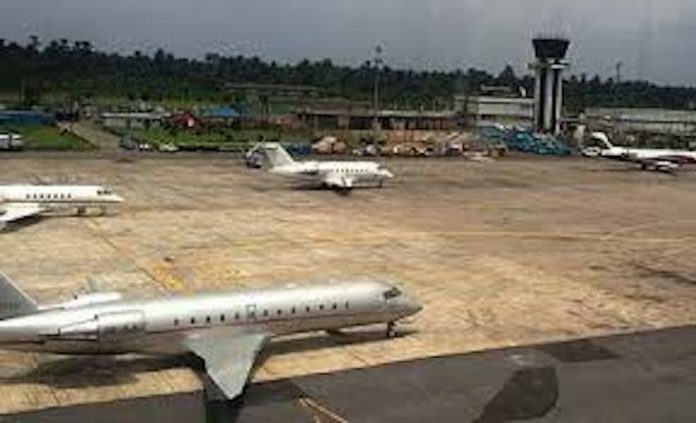 Ezeilo noted that the state government in quick response to the challenges confronting the full operation of the Enugu Airport for safety, and in keeping with its vision to also create “the most conducive environment for business in Enugu State as capital of the former Eastern Region”, had approved the immediate constitution of the committee. She disclosed that the airport intervention would help make Enugu State the choice destination for economic growth in the South East geo-political zone and beyond, maintaining that Governor Ugwuanyi is desirous of ensuring the effective and efficient operation of the airport. Responding on behalf of other committee members, Aroh thanked the governor for finding them worthy to serve “on this important committee”, and assured him that they will discharge their duties satisfactorily and with the fear of God for the actualisation of the aim of their assignment.